Tonight was the T3 Awards 2016 powered by EEat London's prestigious Royal Horticultural Hall. Here's everything that happened! And check out our epic guide to all the T3 Awards 2016 winners. Celebrating its tenth anniversary this year, the T3 Awards is known as “the Oscars of Tech,” and not only by us. 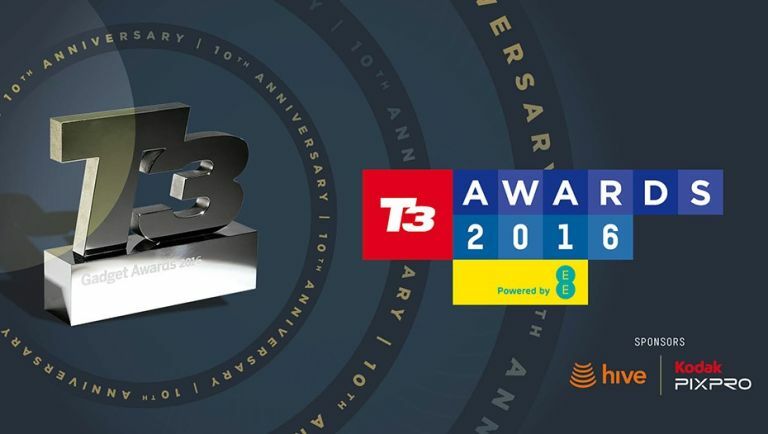 Indeed, a T3 Award hasbecome one of the most prestigious prizes in the industry, given only to the greatest gadgets, the best brands and the most innovative, er, innovators. Attendees on the night will be given a souveneir copy of the T3 Awards 2016 magazine - which will be in shops on Friday! Not surprisingly, Virtual Reality has a big impact on this year's nominations. The HTC Vive receives three for Gadget, Gaming Product and Innovation of the Year. The Oculus Rift has two (Gadget and Gaming Product of the Year), with the Samsung Gear 360 nominated for Innovation of the Year. Other notable nominees include HTC, who receive five, and Microsoft and LG, who both have four. The winners are decided by your votes (voting now closed) and those of a panel of expert judges from the tech biz, and the results will be announced this Wednesday. The exception to this is our Gadget of the Decade award, which is completely voted for by you as well as our awards for Tech Legend, Outstanding Contribution, Tech Personality, Hall of Fame and Editors' Choice. These are awarded by the T3.com and T3 magazine teams.